Have you ever been injured on the job? Do you know what steps to take in the event of sickness, injury, or death solely due to your workplace environment? More importantly, do you know how to protect yourself, as well as others, and help promote healthy working conditions? Every year, more than 50,000 workers die from exposure to various hazards in the workplace. 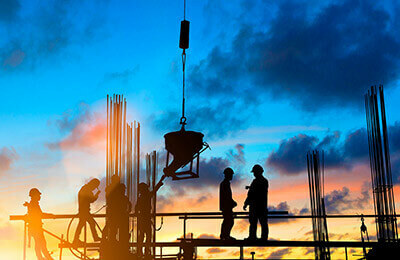 The Occupational Safety and Health Administration (OSHA) is committed to saving lives, preventing injuries, and protecting the health of workers all across America. This course will show you how to identify workplace hazards and become involved with ensuring healthy and safe working environments. Recognize the importance of developing and implementing a safety and health program. Identify ways for employers to demonstrate management leadership and ensure employee participation. Determine the tasks necessary to identify, assess, prevent, and control hazards in the workplace. Recognize the benefits of developing a safety committee to implement safety policies and procedures. Identify the functions of a safety and health committee. Identify the proper procedures for conducting an effective safety and health committee meeting. Recognize the benefits of having OSHA conduct an inspection of a workplace. Identify the types of internal inspections. Identify the best way to handle an external OSHA inspection. Identify the type of violation and possible penalty for a given workplace scenario. This course is designed for employers, supervisors, and managers who need to thoroughly understand, implement, and communicate an OSHA program. Workers who need to be educated and aware of OSHA issues within their domain will also find this course useful. Moreover, OSHA officers and coordinators who need to develop an OSHA program and ensure conformance to the policies will see this course as a must.